HoMedics in Commerce Township, a large manufacturer and distributor of personal health, wellness, and relaxation products, and New York’s Bluestar Alliance have announced the signing of a $165-million, five-year license agreement under the Brookstone brand. The license covers a range of massage, massage chair, home environment, and other select product categories. The Brookstone brand and intellectual property were acquired by Bluestar Alliance in October 2018, and the brand is being licensed to best-in-class licensees. HoMedics plans to introduce its first collection of Brookstone licensed products at the International Home and Housewares show in March 2019 in Chicago. Products are to be selectively distributed through the retail, e-commerce, and hospitality industries across the U.S., Canada, and Latin America. 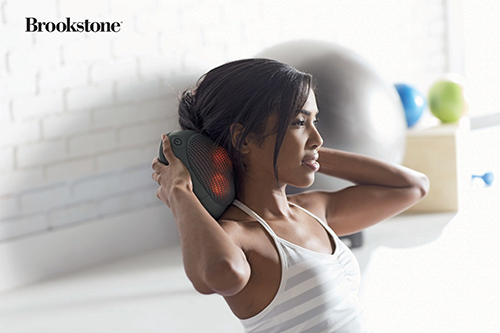 “We are thrilled to have HoMedics as a cornerstone Brookstone licensee. Our mutual objective is to capitalize and expand upon Brookstone’s brand legacy in rest, relaxation, and wellness,” says Joey Gabbay, CEO of Bluestar Alliance. Bluestar was founded in 2006 and owns, manages, and markets a portfolio of consumer brands. It expects retail sales to exceed $3 billion in 2019. HoMedics was founded in 1987.